Above: Robbo's riposte to Banksy. Below: Banksy's decorator image, painted over a 25-year-old piece by Robbo. 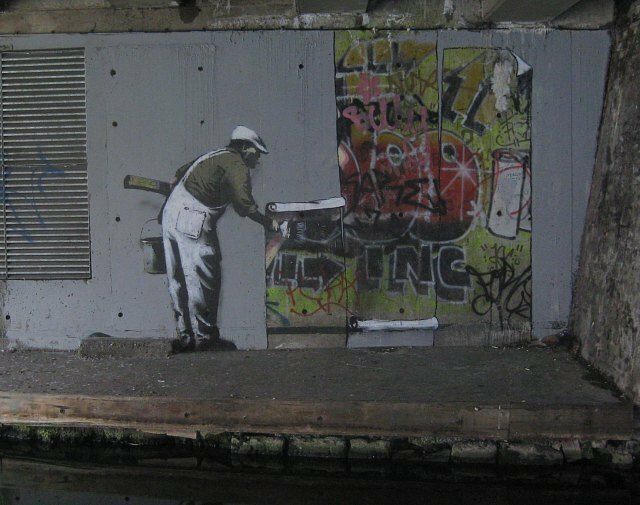 One of the new Banksy murals along the Regent's Canal has been artfully 'reclaimed' by graffiti writer Robbo. 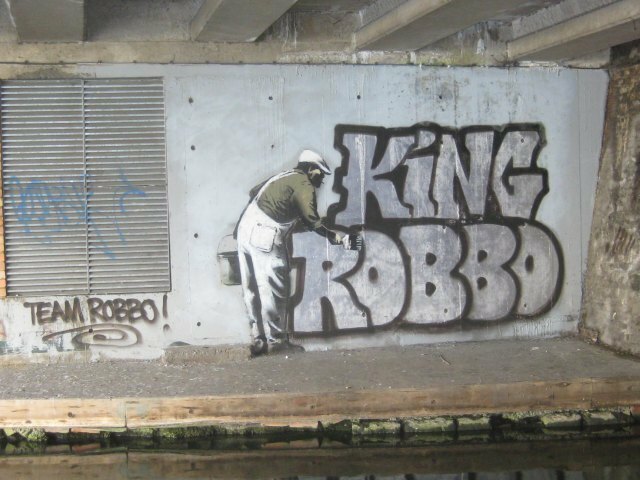 Turns out that Banksy had appropriated a 25-year-old piece of street canal art by Robbo, incorporating part of the original into his 'decorator' image. Now, the slighted veteran has struck back by painting the words 'King Robbo' over the Banksy image. Sounds like this may be more than a minor spat — these two have history. Check out Robbo's Flickr for more discussion. Childish? Witty? Boring? Let us know what you think in the comments.